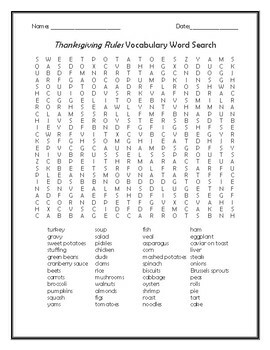 This is a word search containing all of the Thanksgiving foods mentioned in the 2009 children's book Thanksgiving Rules by Laurie Friedman and illustrated by Teresa Murfin. 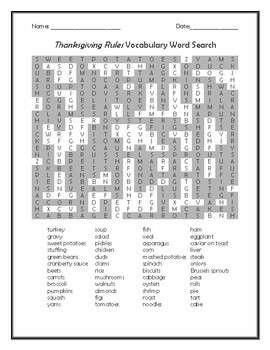 The words only appear horizontally and vertically to facilitate reading fluency! If you don't own the book, don't forget you can often find readings online!